Why not join the Urchinwood Pony Club and become part of the national Pony Club. We specialise in children 13 and under working within the national Pony Club framework and hold badge days and rallies for members and allows people to meet new riders from other local Pony Clubs. Held on the first Thursday of each month between 6pm and 8pm. The group also attend outside activities, such as Badminton Horse Trials, Paul Nicholls Racing Yard, Ice Skating, Air Hop etc. Contact Fiona via email: fionamiller101@gmail.com for further information. A number of schools ride weekly with us. We are able to fit in with school time tables and different standards of riders. 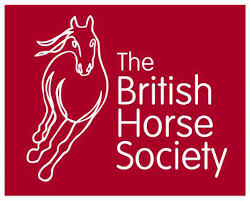 We hold competitions for the riders and are able to help them towards BHS exams and Progressive Riding Tests. We much enjoy doing open days for schools when a group of students spend a structured day with us, riding, horse care and games, these are a very popular end of term experience. Bristol University use our facilities for all their riders, from beginners to the advanced development team. We run a number of sessions each week to allow for plenty of flexibility with their study schedules. We run inter university competitions in Dressage and Show Jumping and social events such as Halloween games evenings.